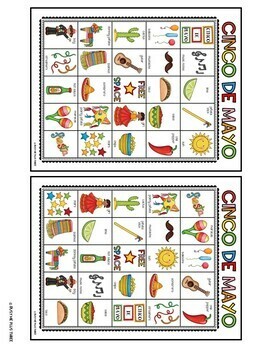 This is a fun Cinco De Mayo Bingo set for your classroom or students. 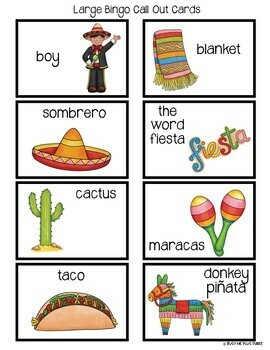 This would be fun to do at a party or to celebrate on May 5th! 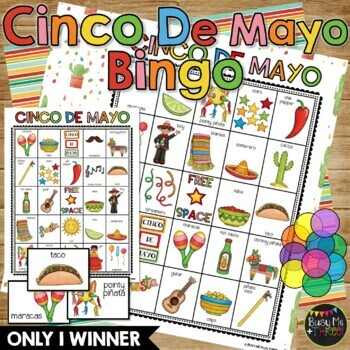 There are 25 different bingo cards, small calling cards, and large calling cards included. With this set, students use counters as markers. 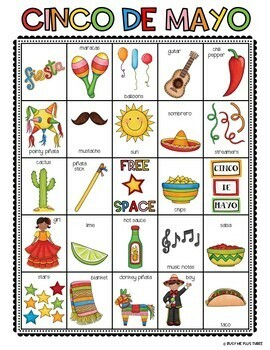 This is a fabulous activity for stations, a party, or classroom game! Remember, if you are not following me yet on TPT, be sure and do so! I always put my new items on sale at 50% off for the first 48 hours!